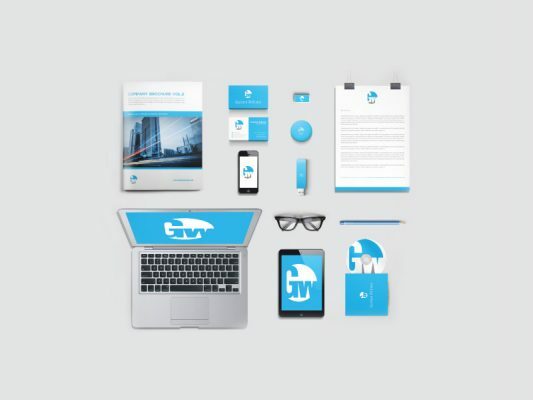 Download Corporate Branding and Identity Mockups Free PSD. With this set of Corporate Branding and Identity Mockups psd Impress your clients showcasing your work in the best way possible. In this Corporate Branding & Identity Mockups set you will find a lot more mockup combinations are possible. All the objects are grouped allowing you to move them around and organize them as you want. However you are free to use this Free PSD in your personal and commercial projects. Anyway, hope this will help you benefit your project as well. Enjoy! Download Apple MacBook Pro Perspective Mockup Free PSD. If you Want to display your web or app designs in a professional environment then this freebie is very useful for you. 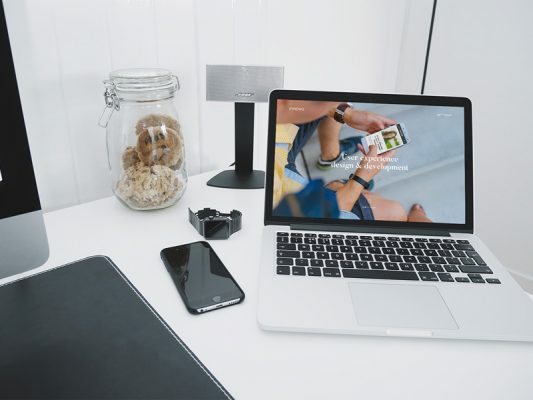 This neat and simple looking Apple MacBook Pro Perspective Mockup will enhance you design. On the desk there are other Apple devices which compliments the photo. To add your design just double click the top smart object layer, inset your designs and save your file. However you are free to use this Free PSD in your personal and commercial projects. Anyway, hope this will help you benefit your project as well. Enjoy! Download Colorful iPhone 7 Mockup Free PSD. A Colorful iPhone 7 Mockup PSD for sowcasing your iOS application UI Design in a creative and stylish way. The screen is a smart object so you can swap in your own screens. Several background color variations included and simple to swap in your own color. However you are free to use this Free PSD in your personal and commercial projects. Anyway, hope this will help you benefit your project as well. Enjoy! 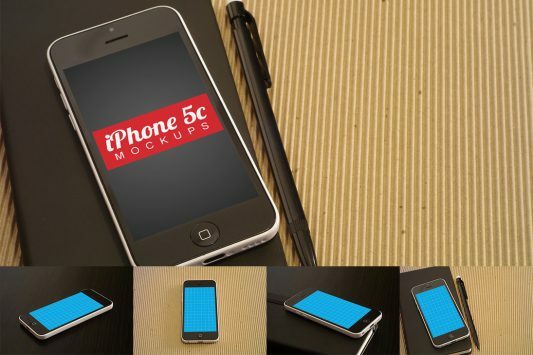 Download 4 iPhone 5c Mockups Free PSD. 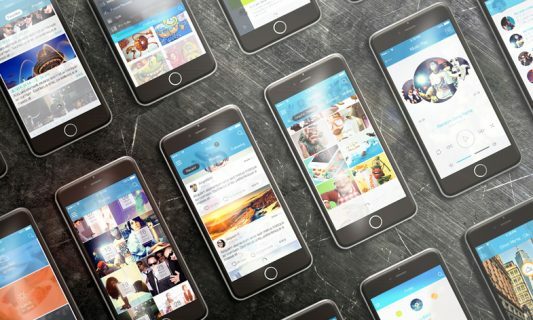 Present your iOS apps or mobile website designs on with these spectacular iPhone 5c mockups! 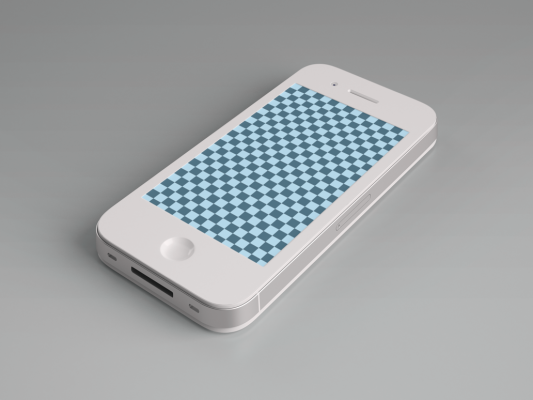 These mockups are PSD files that you can open in Photoshop and they let you place your own image on the iPhone with ease. You will need Photoshop CS5 or newer to use these mockups. Download them today! Download iPhone and Coffee Mug Mockup Free PSD. 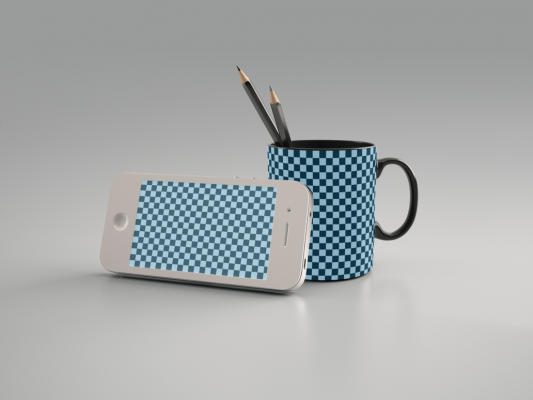 iPhone and Coffee Mug mockup Presentation if you can set your mobile phone and coffee mug mockup design horizontally using separate smart objects. Easy to place your designs using smart objects double-click the Smart Layer copy & paste your artwork save and youÕre done! 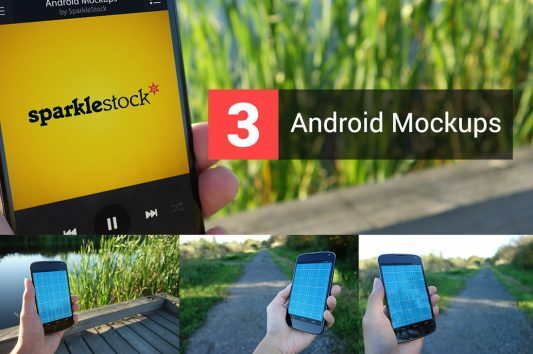 Download 3 Outdoor Realistic Android in Hand Mockups Free PSD. Here’s a better way to present your Android apps! 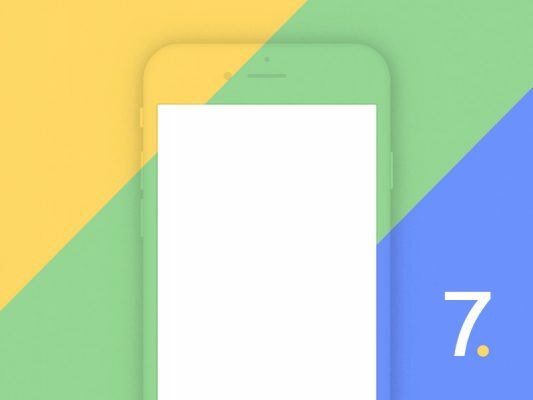 These realistic mockup PSDs are extremely to use and they’re a great way to showcase your apps or artwork on a Google Nexus 4 phone. Simply double-click the layer, paste your image, save + close and you’re done. You’ll need Photoshop CS5.5 or newer to use these mockups. Download Android Custom Scene Creator Mockup Free PSD. 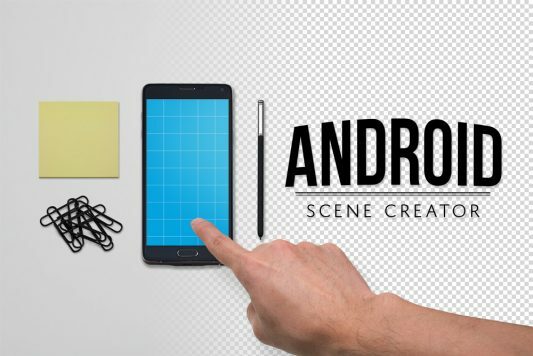 Create your own custom Android scene featuring the Samsung Galaxy Note 4. This product is a Simple and Flexible Mockup for Photoshop. Easy to Customize: All layers are organized and can be easily repositioned and rotated. You can also add your own image to the phone screen simply by dragging and dropping. Three Desk Items: Customize your scene with sticky notes, paper clips, and a stylus. Add a Pointing Hand: Demonstrate how your app works with a pointing hand. Pick a Background or Use Your Own: Use the included white background or use your own! Download Identity and Branding Mockup Template Free PSD. Showcase your brand and identity in style with this Free Branding Mockup Template PSD. 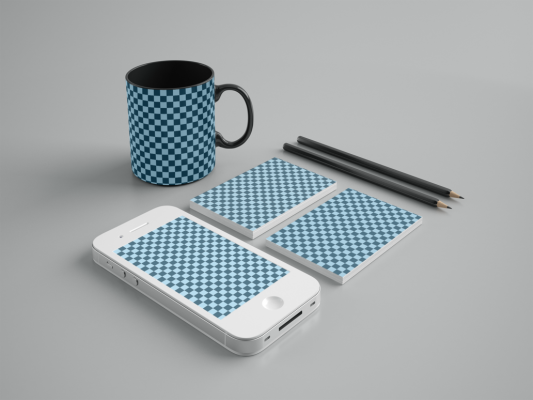 Mockup Inculdes an iPhone, Coffee Mug and Corporate Business Card Mockup template. Showcase your design in this photorealistic mockup psd. If you want to set your mockup design just double-click to open a separate smart objects for each report and record pasting your own design; Full layered Psd file for free download.